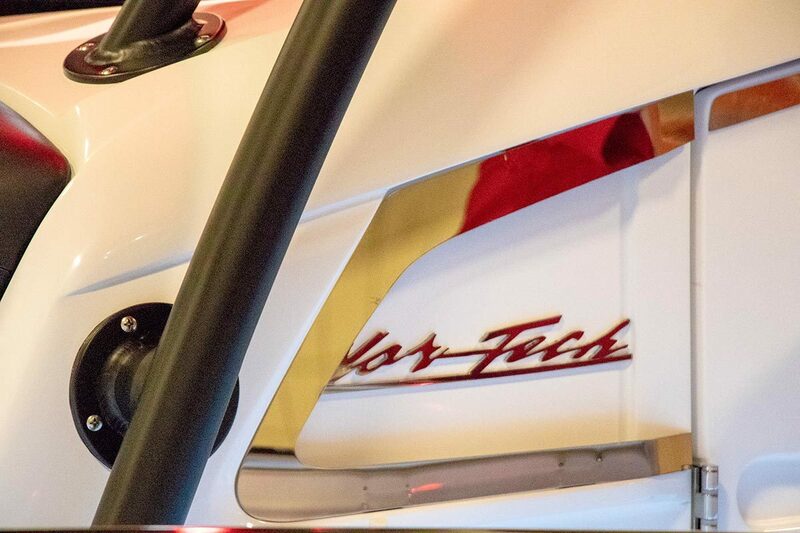 Fishermen will entice even the toughest catches in the Nor-Tech 392 Superfish. 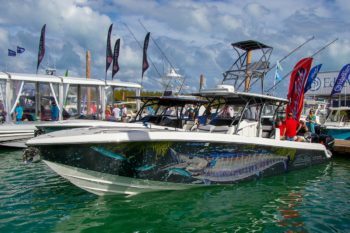 Custom-built for the fisherman in mind, the 392 Superfish is a composite construction of fiberglass and Kevlar, making this one heavy, stable, and tough boat. 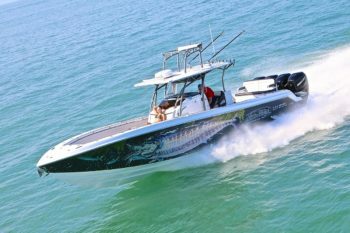 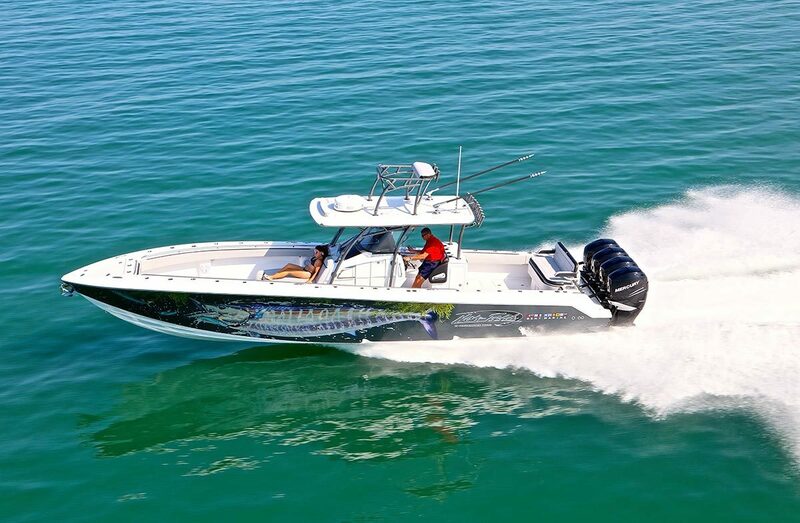 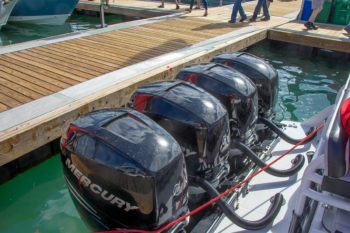 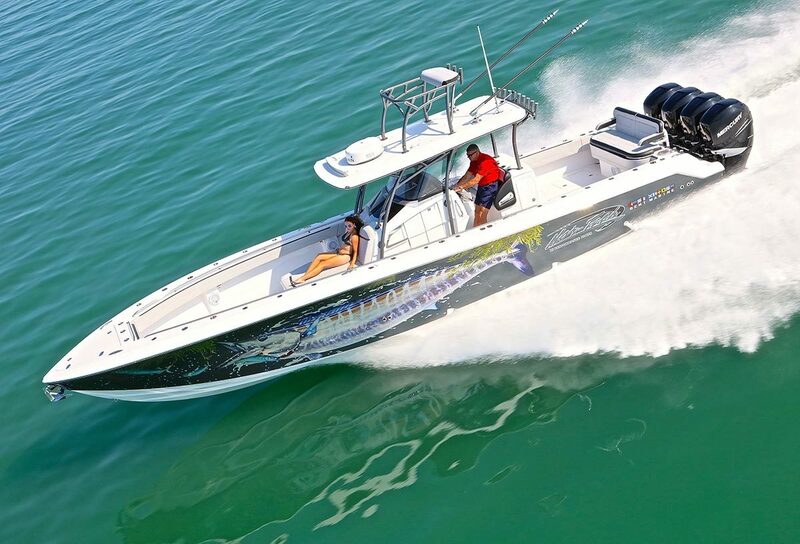 The Superfish is a little wider at the waterline than most boats of her size and the fuel tanks are at the centerline, making for a very stable ride. 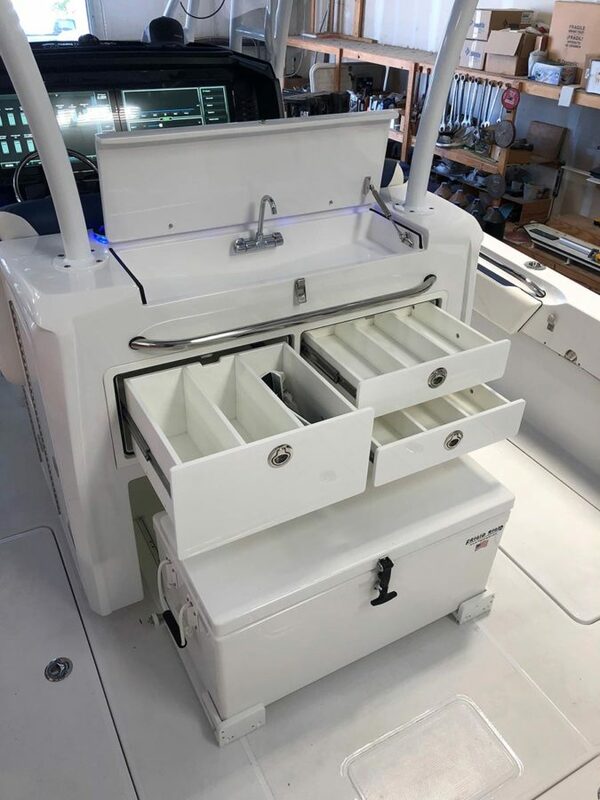 Enjoy ample storage for tackle and bait, as well as a custom built-in fish station and tuna tubes. The entire single-level cockpit is self-draining via and under-deck plumbing system glassed into the cockpit liner. 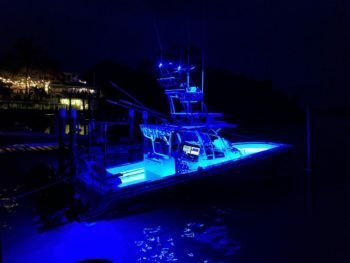 Your fish never had it so good! 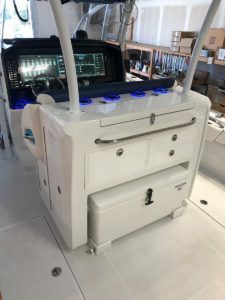 Serious anglers will appreciate the efforts Nor-Tech took to create the finest sea chest pump system ever developed on a fishing boat. At the transom, there are two 65 gallon live wells and built-in tuna tubes. Rod holders are located throughout the boat, from bow to stern. 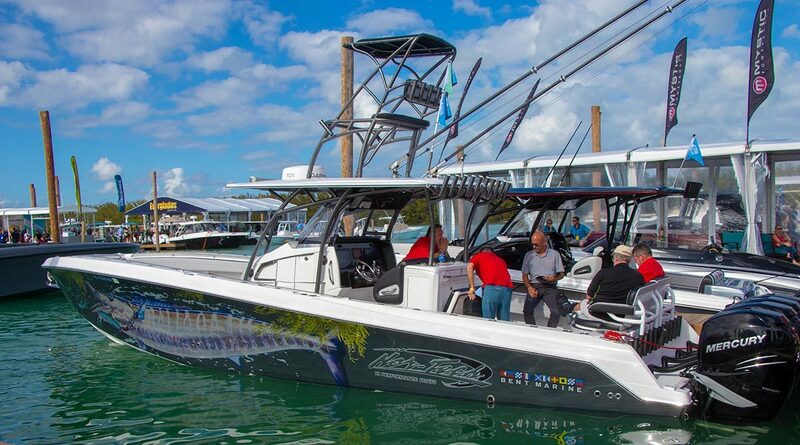 A removeable tower encourage you to reel in the biggest catch possible. 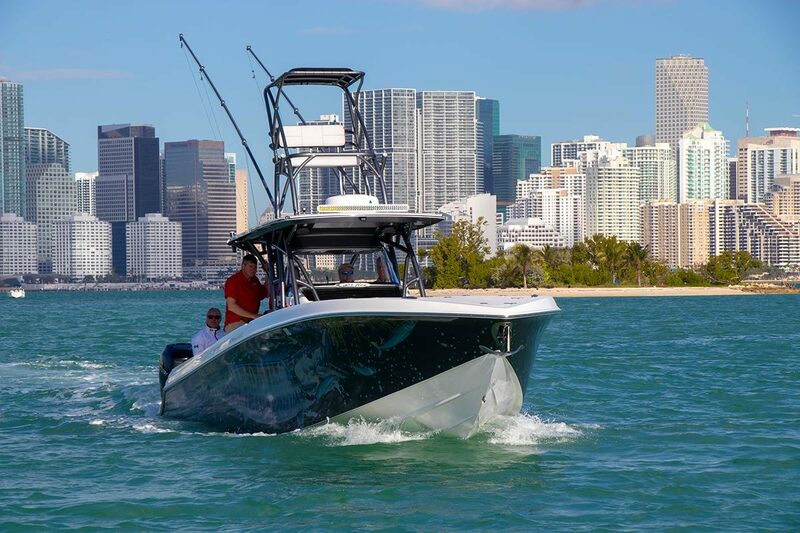 The 392 Superfish has one of the most comfortable pilot and co-pilot seats, inspired by seats found in race cars for ultimate comfort and security. From the pilot seat, you’ll feel cared for with navigation screens and an ergonomically designed steering column. 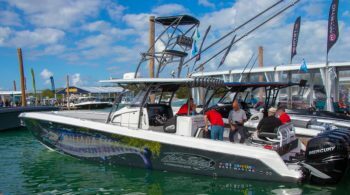 Fishing just got even more super. 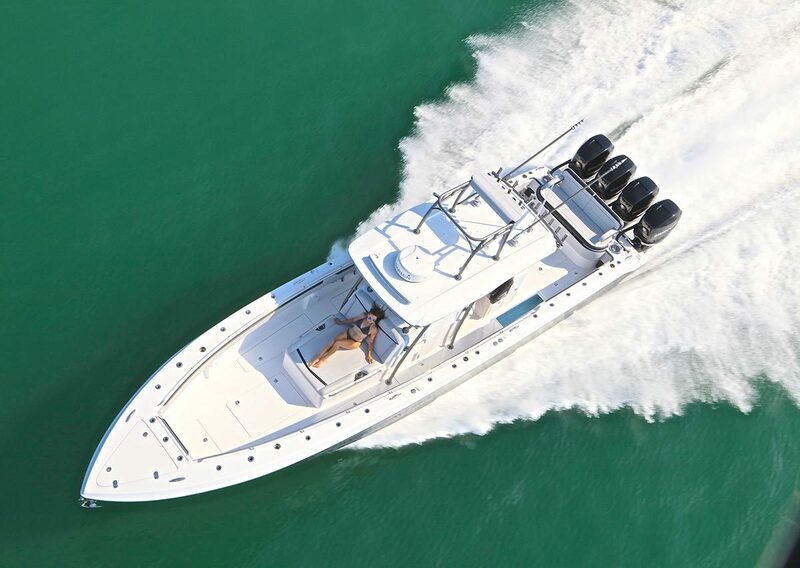 Go on the most comfortable fishing excursion of your life. 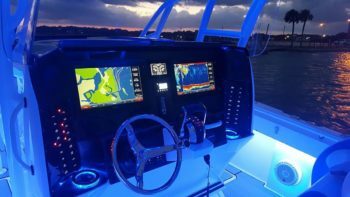 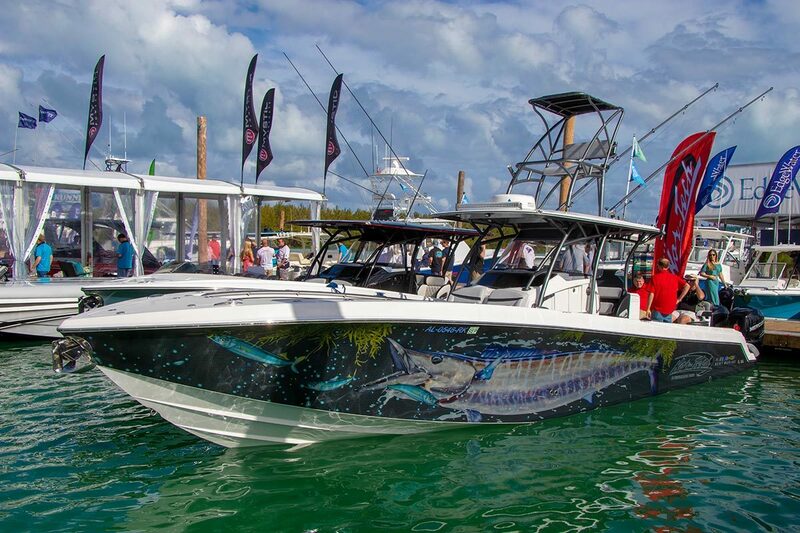 Custom paint, hand-crafted interiors and top-of-the-line electronics and lighting round out this catch of a vessel.